Canada's #1 supplier of high quality marabou to the fishing industry. Real Pro's Premium Strung Marabou is ideal for dressing flies, trebles, jigs, spinnerbaits, musky featherd trebles (Boo style magnum spinners) and more. 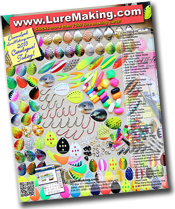 The simulated breathing quality of marabou is perfect for all your tying needs. 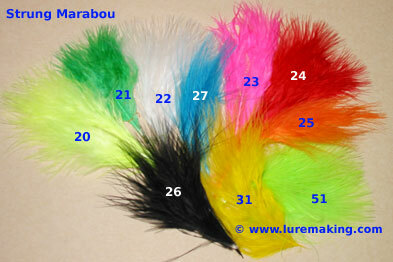 Strung marabou plumes are 3 to 4 inches long. Mix and Match for volume prices.